We understand that optimized cash flow and decreased overhead are more important than ever. For this reason, we have partnered with Zelis® Payments. Zelis Payments replaced paper-based payment process with electronic ones, which deliver increased efficiency to healthcare providers. 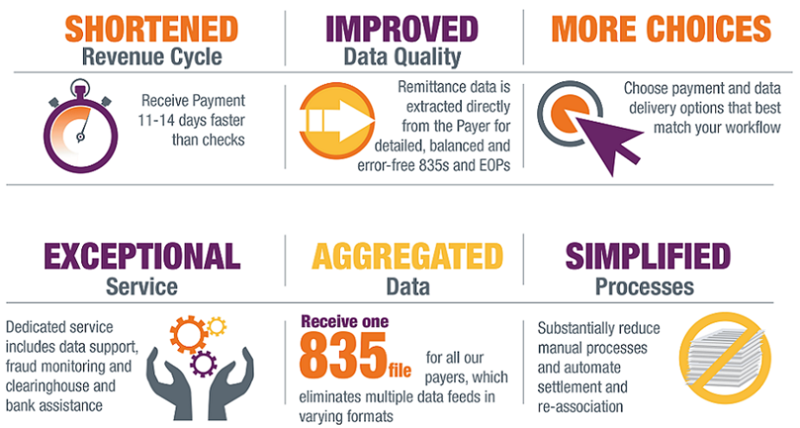 Explore payment options for providers, hospitals & health systems. WHY ENROLL IN ZELIS PAYMENTS? ©2018 Zelis Payments. All Rights Reserved.